Welcome to the D-B PTSA website! PTSA (Parent, Teacher, and Student Association) is a volunteer organization dedicated to supporting D-B’s teachers, faculty, and staff as they strive to make D-B the best possible school for our children. We would love for you to be involved! Whether you donate your time or money to PTSA (or both), your support is invaluable. One of the most important ways we support D-B is through educational grants. Often, teachers have needs for their classroom that go beyond their budget, and PTSA steps in to fill that gap. With the help of corporate and parent donations (partnerships), and PTSA memberships, these funds are vital to our school. To help with this need, please print and fill out the PTSA Membership and Partnership form and either mail it to the school, take it to the front office, or send it with your child to their homeroom teacher. A PTSA Volunteer Opportunities Form is also available! PTSA meets on a monthly basis, and we would love to have you join our meetings! Thank you again for your interest in PTSA! Please register your Food City Value Card as Dobyns-Bennett supporter the next time you visit Food City. 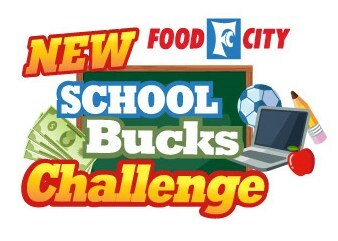 100% of our Food City School Bucks are used for classroom grants for Dobyns-Bennett classrooms. You can click here﻿ to register you card on the Food City website. You can also ask the cashier to link your card to D-B at the time of check out. Please encourage your friends and family members who are not connected to other schools to connect to D-B. Every dollar and opportunity counts. We awarded over $6,000 in classroom grants last year alone. D-B PTSA THANKS OUR BUSINESS PARTNERS!